Collins Booksellers - Role Playing Games Dictionary: An Easy to Understand Guide - It’s Not What You Play, It’s How You Play by Advanced Buy Media Group, 9781476019062. Buy this book online. If you’re new at the game, Here is a Comprehensive list of Definitions to help you navigate whatever game you might like to play, because Learning The Language, Is Half The Battle! 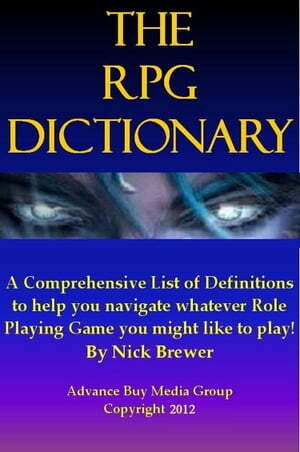 This is a reference resource that you can easily use to better understand the terms that are used in the world of role playing games. The terms are listed alphabetically, followed by easy to understand explanations.